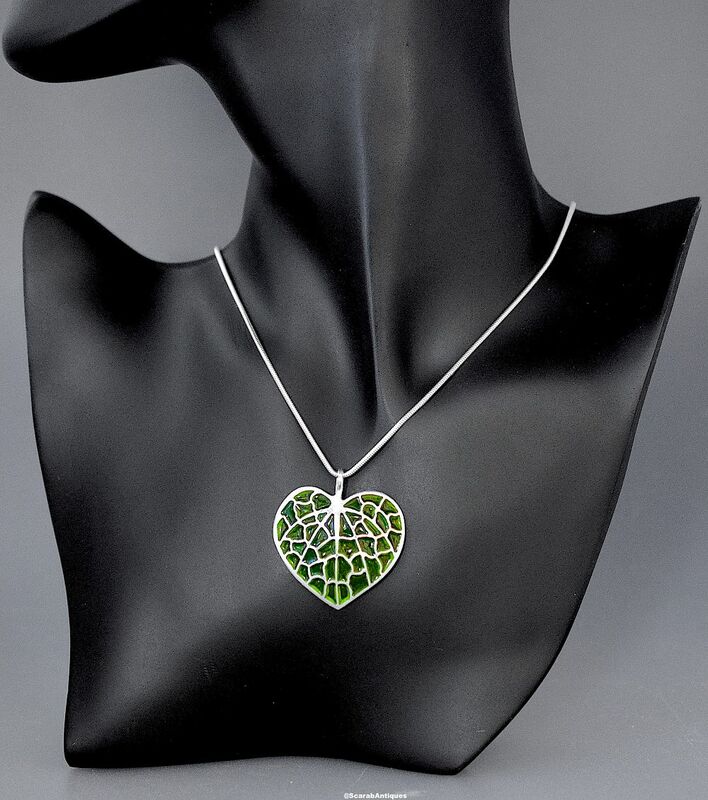 This is another of the 4 Forest Pansy Leaf pendants designed and made by Jean Wilkinson in silver & plique a jour enamel. 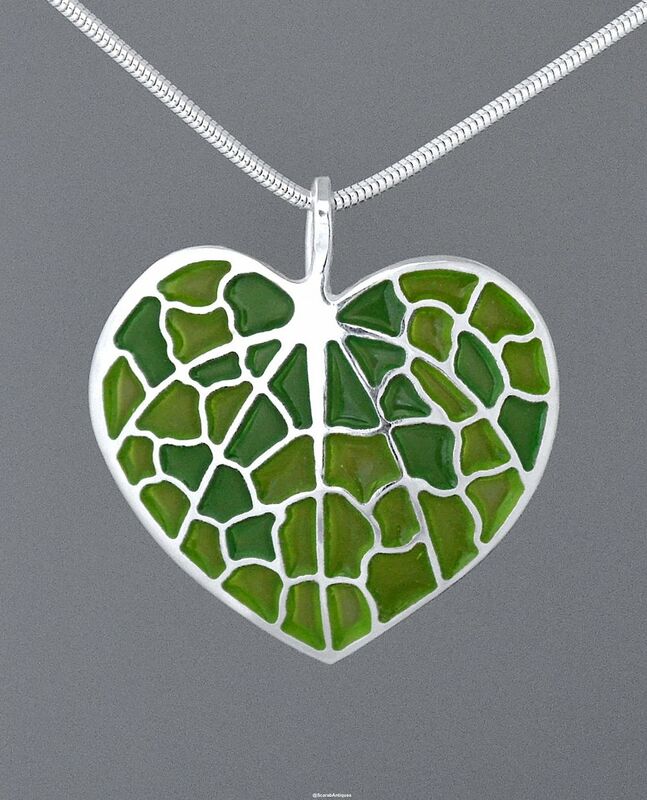 Each of the 4 pendants depicts one of the seasons - this one is done in emerald and lime green plique a jour enamel to depict spring. It hangs from a silver snake chain.